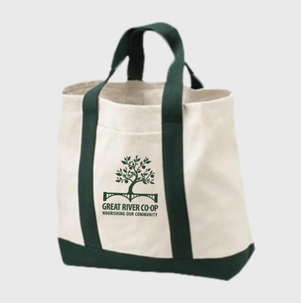 Additional items available include two styles of re-usable tote bags, perfect for shopping at the store when our doors open. SHOP NOW! 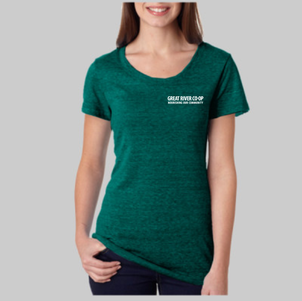 We look forward to seeing the Great River Co-op Swag out and about in the community!